Updated Sunday April 8, 2018 by HMBHL. Learn to Play/Squirt Division – Sundays: 9:00am or 10:00am. Tyke Division – Sundays: 10:00am, 11:00am or 12:00pm. Novice Division – Sundays: 11:00am, 12:00pm or 1:00pm. Atom Division – Sundays: 12:00pm, 1:00pm, 2:00pm or 3:00pm. Peewee Division and above - Sundays: 1:00pm, 2:00pm, 3:00pm or 4:00pm. The City of Hamilton has allocated the league Inch Park Arena, Rosedale Arena, Lawfield Arena, Chedoke Arenas, Morgan Firestone Arenas for games in 2018. There may be a Sunday when the above arenas are occupied and we will use Harry Howell Arenas. Please download the SI App from the website for game reminders and other available communication tools. Further information is available on the league website such as equipment requirements, code of conduct and rules. 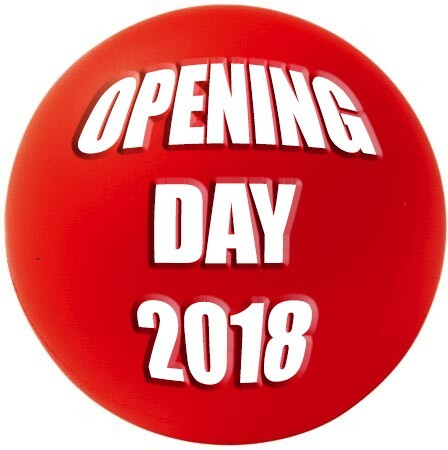 Look forward to seeing all of the players on Opening Day 2018.